Like its close relatives Metriorhynchus and Geosaurus, Dakosaurus was technically a prehistoric crocodile, even if this fierce marine reptile was more reminiscent of the mosasaurs that appeared tens of millions of years later. But unlike other "metriorhynchids," as these sea-going crocodiles are called, Dakosaurus looked like it was assembled out of the bits and pieces of other animals: its head resembled that of a terrestrial theropod dinosaur, while its long, clumsy, leg-like hind flippers pointed to a creature only partly evolved beyond its terrestrial origins. 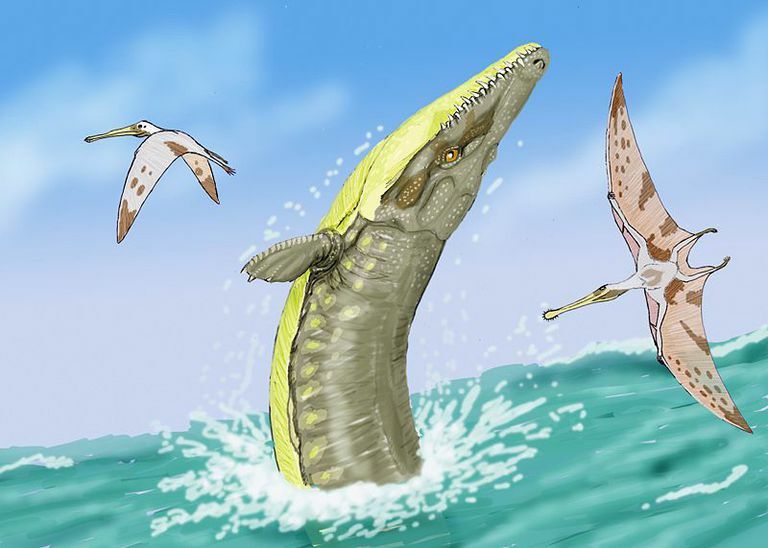 Overall, it seems unlikely that Dakosaurus was a particularly fast swimmer, though it was clearly just speedy enough to prey on its fellow marine reptiles, not to mention assorted fish and squids. For a marine reptile, Dakosaurus has an unusually long pedigree. The type species of the genus, initially mistaken for a specimen of Geosaurus, was named way back in 1856, and before that scattered Dakosaurus teeth were mistaken for those of the terrestrial dinosaur Megalosaurus. However, the real buzz about Dakosaurus began in the late 1980's, when a new species, Dakosaurus andiniensis, was discovered in the Andes Mountains of South America. One D. andiniensis skull discovered in 2005 was so large and fearsome that it was dubbed "Godzilla" by the excavating team, one paleontologist going on record as saying that this dinosaur-like reptile represented "the most drastic evolutionary change in the history of marine crocodiles."